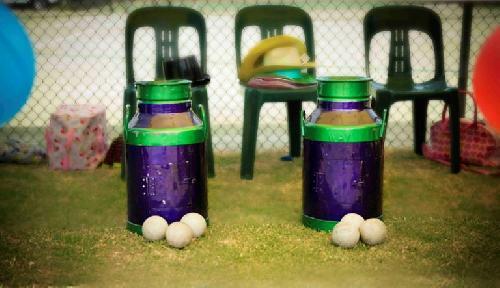 All the player has to do is throw one of the soft balls into the old fashioned milk can. This game has been a firm favorite at Fetes, Fairs and Festivals for years because the carnival game owners know it is not as easy as it looks. Ideal for birthday parties.